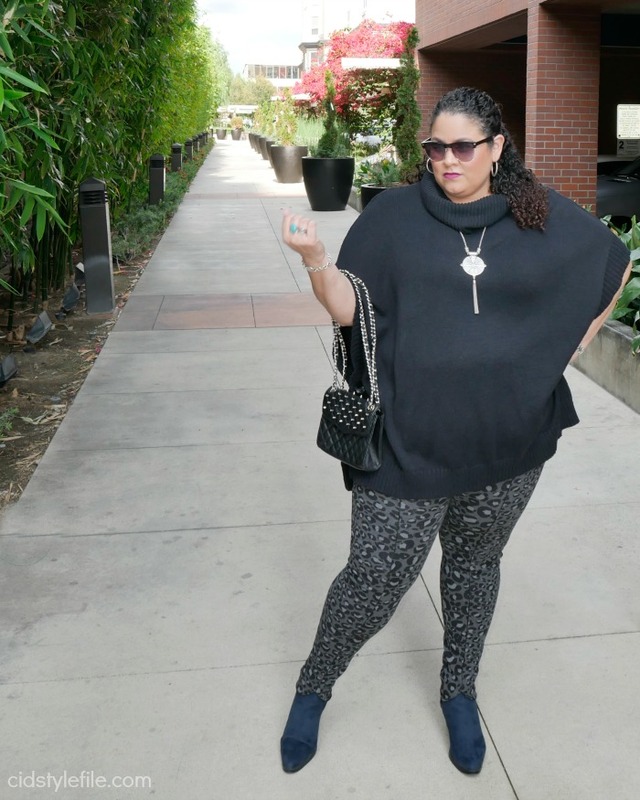 When you are plus size the choices in fashion can be limiting. Growing up and being a teen in the 90's was rough and my choices in fashion were very few. We didn't have the amazing brands and stores like we do now. It has been great to see the plus size fashion industry grow and offer more stylish and modern choices. Don't get me wrong, retailers for plus size existed, they just didn't offer styles for younger women. Stores like Lane Bryant and Catherine's have been around for decades, however when you are a teenager, those are not the first choices that come to mind, when shopping for cute clothes. I either had to shop in the men's section for jeans and cool tees or have my mother make me a dress for prom (which she did). The choices are much better and have improved greatly, yes even Lane Bryant and Catherine's have cuter and more stylish clothing now. By the time I got to college and had my first job, I wanted better, more stylish and trendy clothes. This is how I learned to shop non-plus size brands for clothes that fit my body and my style. When you are limited in options and are broke, you are forced to to get creative. Just like Tim Gunn says in Project Runway, "Make It Work"! 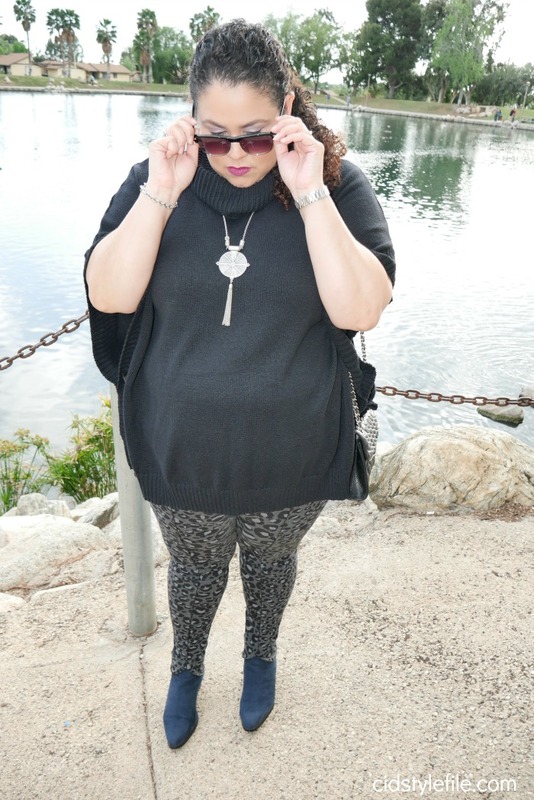 I made it work and found clothes in non-plus size stores or brands that didn't cater to plus. Even now with more choices available in plus size, I still find many items in non-plus size. I love having more options in plus size with better selection and more stylish clothing. However, why limit your self, when you can find ways to make non-plus brands work too! 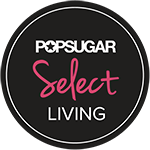 We all have those brands we love and covet, that do not offer a plus size collection or have their sizing limited to straight sizes only. This doesn't mean that those brands will not fit or have something to offer you. Having a mother who worked as a seamstress for many years, taught me about clothing construction and fit. It really all boils down to the style, cut and fabric of the item. Do not let the size on the tag fool you, nowadays we have so many ranges in sizing you can never really tell just by the tag. 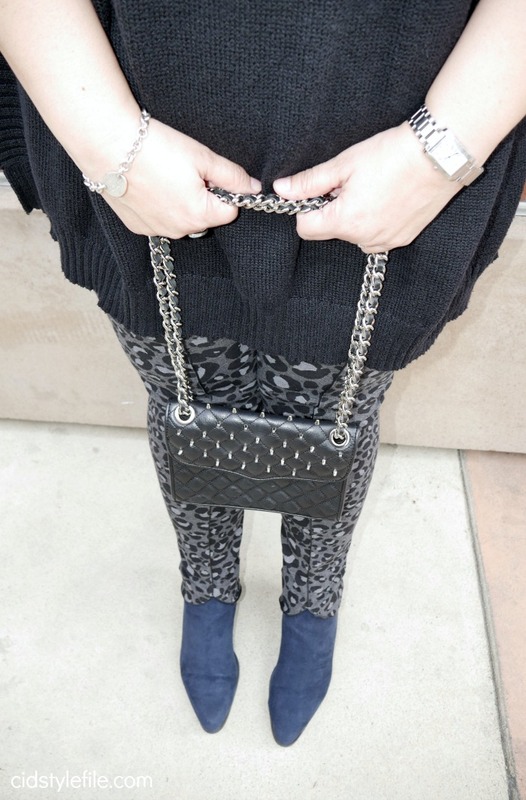 For example this outfit I am wearing, it is not from a plus size brand or store. When I am shopping for clothing, I naturally do browse in the plus size section or go to stores that cater to plus. However I also look at other brands and/or stores that I may be interested in as well. Don't let the sizing discourage you if you love the styling and aesthetic of a brand. 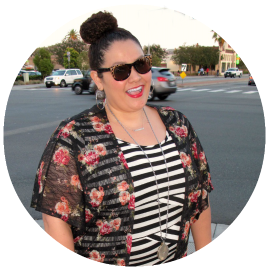 I will share some tips and tricks to shopping non-plus size, when you are plus size. Know your Measurements - If you know your measurements, such as bust and waist you can have a better grasp if certain clothes can and will fit you. Look for fabric with stretch - Any fabric with stretch is better because it will give and mold to your body. Anything with fabric such as lycra, nylon, spandex or knits usually have good stretch. Look for A-Line, Shift or Flowy Styles - Clothes with an A-line, shift or flowy shape can work for plus size, because it is meant to be bigger and flow away from the body. Clothing labeled "Boyfriend" or "Relaxed" can fit plus size bodies - you find these types of styles mostly in jeans or casual type clothing. If something is labeled "Boyfriend" it will be looser and have more room, as if you are wearing your boyfriends clothing. Relaxed fit is also a good option because the clothing is meant to be loose and not hug the body. Avoid clothes labeled such as "slim", "fitted" or "custom" - usually these labels mean the clothing doesn't have much give or room for stretch and the fit will be tight and probably not fit a plus size body well. If it looks like it will fit try it on - I can not stress enough for every one to try clothing on before you buy. It's a pain and can be annoying to try clothes on at the store. I know, I hate it too, but that's really the only way to truly see if something will fit. Just because the store or brand isn't label as plus size, doesn't mean they don't carry larger sizes. Many brands/stores do not identify themselves as plus size, they do however carry larger sizes. Some stores carry sizes up to 18/20. When in doubt ask what is the largest size a store carries and go try it on. Don't be intimated by the size on a label or the name of the brand. I've come to realize its just a tag and a number. Don't let the tag define you and your style. If you like something and it looks like it will fit, try it on and buy it! I have many items in my closet from non-plus size brands and you would never be able to tell the difference. Like I mentioned before this outfit is not in plus size, but because of the style, fabric and cut of the clothes it fits my plus size body. 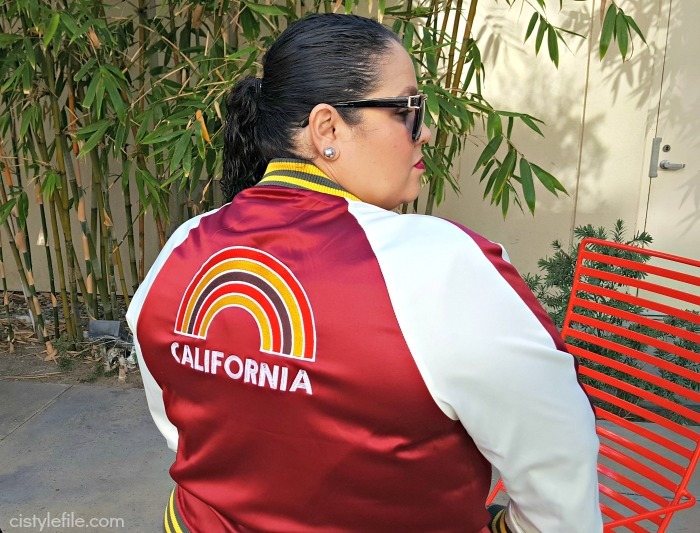 Several of my favorites stores do not offer plus size, but I make it work for me. Using the tips given you can easily find non-plus size clothing for you as well. Some of my faves are Old Navy, H&M and The Gap. OK lets clarify, stores like Old Navy and H&M do offer plus size. I usually do not shop the plus selection from Old Navy, because it is only sold online. I find plenty items in store that fit me and avoid shopping on line from Old Navy. This sweater-poncho is proof, I bought a size larger because of the style and fabric. The knit fabric is stretchy and the cut gives me plenty of room, making possible for me to wear. H&M also has started to offer a plus size collection, which is sold in stores, but in limited locations and online. I would say about 80% of the clothes I own from H&M are not plus size. 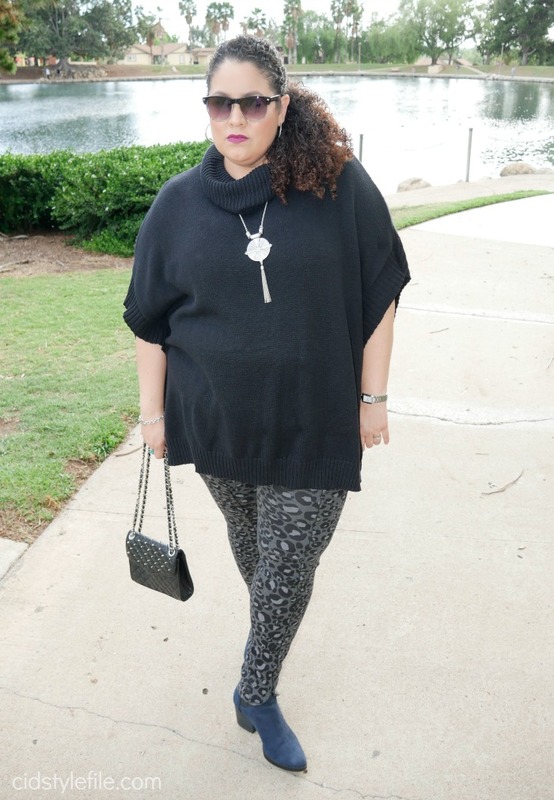 These pants I am wearing in this outfit are from the regular size collection in size XL. These pants are very stretchy and fit me just fine, most of the pants I do own from H&M are either size large or XL. Remember it's all about the style, fabric and cut! Another store I like is The Gap, they offer up to size XXL as well, however it can be difficult to find in store and usually only offered online. Sometimes I've gotten lucky and find things that fit at the most uncommon places, but I make it a point to search the racks and try it on to make sure it fits. 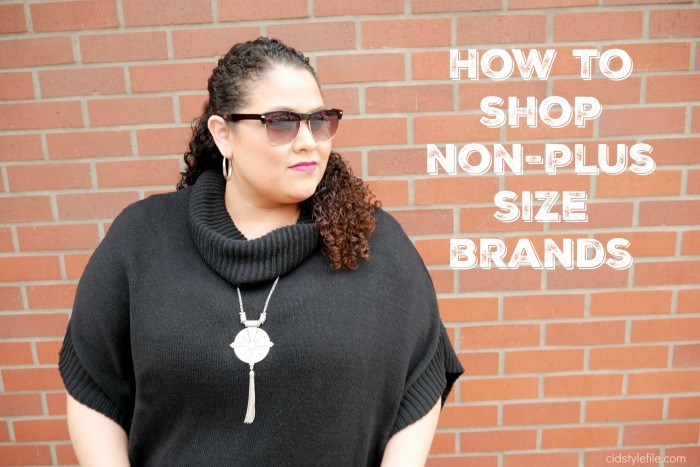 Hope these tips help you out in finding non-plus size clothing at your favorite stores. Fashion has evolved greatly in so many ways, its time we also evolve and grow with it. We can no longer limit ourselves because of our size, we need to go out and be fabulous regardless of size! Let me know if you shop at non-plus size stores or brands. I'd love to hear your shopping stories, please share them in the comments! This are great tips! I am on the larger scale of the regular sizing and I definitely struggle with items that only come in S, M, or L sizing. The only other tip I would add is that when you are online shopping, you should comb through the reviews. Many retailers ask reviewers to include their height and weight so it gives me a great idea about how items really fit. There are usually scales as well where multiple people can review if the item runs too small, TTS, or large. Ana, you are right those reviews are helpful and good to go read when shopping online. Some interesting facts about fashion...It talks about brands and how to choose branded items that fits your body shape. Make good choices from limited options. this is what the author says to the audience.